As prices rise, domestic demand for soybeans isn't going away but China is increasingly purchasing from nations other than the US. Although the trade war between China and the US has pushed up soybean prices, soybean imports from other nations are on the rise, State-owned television station CCTV reports. Demand for soy products as animal feed has increased over the past few years, and more than 80 percent of the beans consumed in China are imported. Brazil and the United States are China's top two suppliers, according to CCTV. 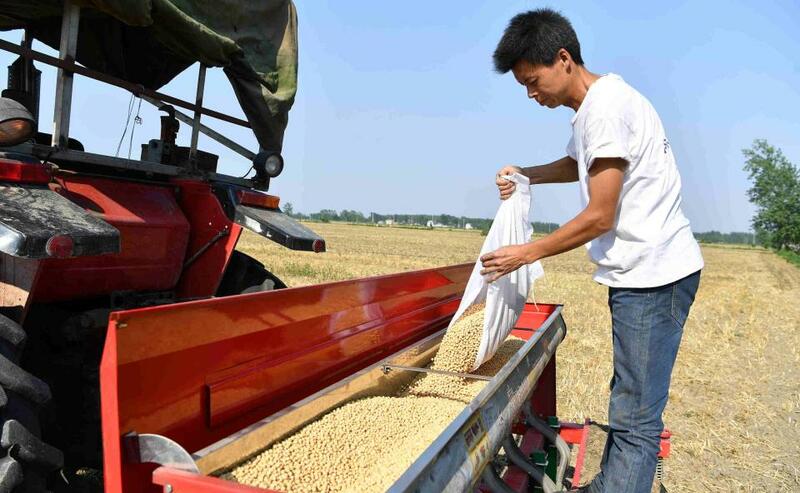 Zhang Lichen, deputy president of Jiusan Group, a company that processes soybeans, says the US soybean price fluctuation has changed Chinese purchasing patterns. In order to meet domestic demand China has purchased more from South America. Despite the expected reduction in soybean imports from the US, other nations like Canada and Russia are bullish about the Chinese market, according to the report. In the mean time, China's domestic soybean producers are benefiting from the rising prices of imported soybeans. Soybean processors used to prefer imported soybeans which were cheaper than domestic ones. In addition, Chinese farmers are motivated to grow more soybeans than corn since a policy of more subsidies to soybean farmers was adopted in 2016.